The Toferer holiday home has two comfortably furnished apartments with a lovely décor, which will immediately make you feel at home. The quietly located holiday home is near a leisure centre at the entrance of the village of Grossarl. There are several footpaths around the nearby mountain lake and the valley, where you can enjoy the serenity of nature. 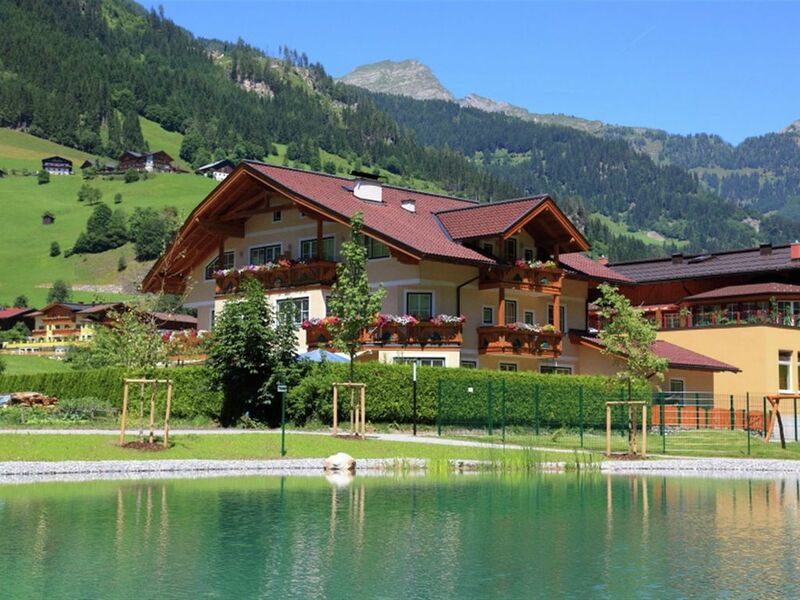 In the winter the holiday home offers a marvellous view of the Großarltal and the ski runs. The cable-car station can be reached on foot in just 3 or 4 minutes. The slopes almost descent to the door of the house (up to approx. 80 m), so you barely need to use your car during your winter sports holiday. After skiing you can relax in the sauna free of charge. At extra cost (and availability) can be on the 1st floor a further bedroom with bathroom rent extra. Mensen zijn vriendelijke en kunnen ook allemaal Engels.